It's up to a week past the first day of fall, and I can really tell because the weather is getting colder. Honestly, seeing summer slip away usually makes me unhappy because there will be more restrictions on several things including one's mode of dressing, the number of times spent outside and the freedom of movement.. I love fall because of the colourful leaves droppings, but it also depicts that summer is over, and the ever dreaded chilling winter is fast approaching. Come to think of it, I don't think I'm quite done with summer yet, so yesterday I grilled for myself some mackerel fish with some fresh vegetables, potato slices and herbs. The inspiration for this grilled mackerel came from my mum, who often made same fish for dinner couple of years ago. 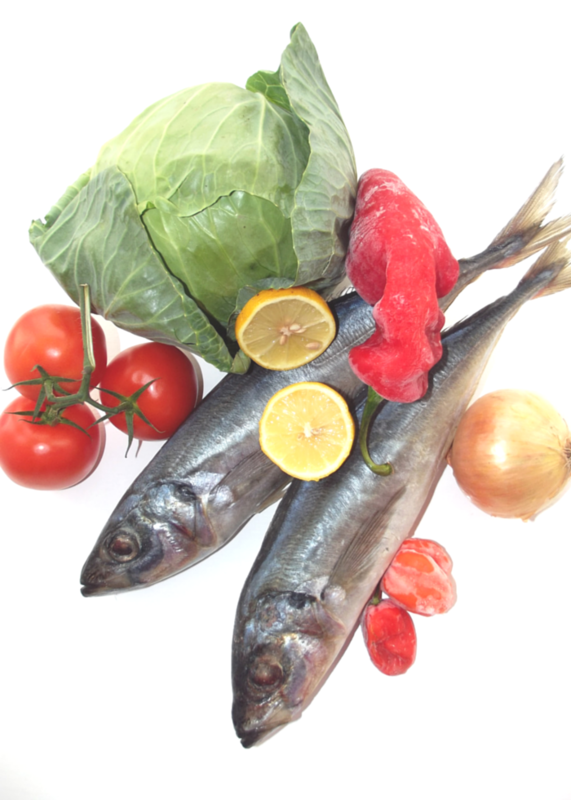 A pan of mackerel fish is the ideal place to throw some sweet long peppers, fresh tomatoes, carrots, herbs, cabbage and lemon. Top it with some baked sliced potatoes and you have a meal for dinner. The flavors balanced each other so perfectly, and the aroma and flavour dances before your eyes. 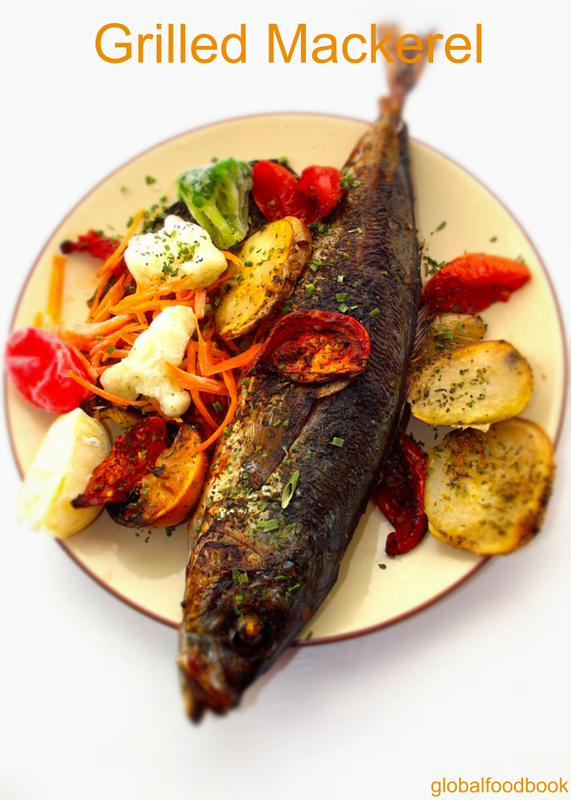 Grilled mackerel is just a perfect dish to prepare while struggling to hold on to the last phase of summer. Yes.... it's time for more fish! I love fish because of it's taste but when I found out that it is also a rich source of omega-3 fatty acids, I knew I had to consume it quite often. There is a Turkish shop right on my way home from the town centre and they usually have fresh fish..... Obviously, I had to grab a bag of fish. Right from childhood, I'd been aware of the pungent smell oozing out while cooking fish, so I always ensure to leave the windows open or close the kitchen connecting doors before cooking. But whichever way you prefer to manage your house, always maintain maximum level of cleanliness and aeration in your kitchen. I started by thoroughly cleaning the fish, sprinkling my herbs and all the required ingredients all over the fish and then rubbing them thoroughly on the fish. You might be wondering where I kept the sauce dip to go with the fish? Well, I hid it right inside the fish, a perfect surprise when you munch through. Don't forget to share your own mackerel recipe with us. Click here to submit yours. 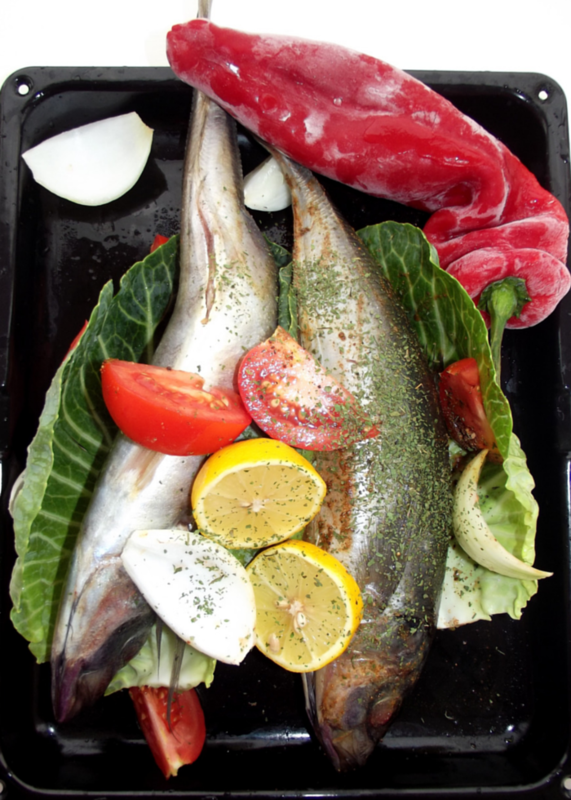 Wash the fish thoroughly and place in a grilling dish. Add all the listed ingredients except the vegetables. Use your fingers to rub the ingredients properly on the fish. Place on the griller and allow to grill for at least 20 mins or until done. Use a skewer to pierce the side to see if clear fluid is coming out. Once done, bring out from grill and serve garnished with assorted vegetables as desired.